This machine is best suited for small batch production or when cost of press tools and dies is prohibitive. It enhance quality and productivity by doing such jobs which used to be done by skilled men and hand tools. 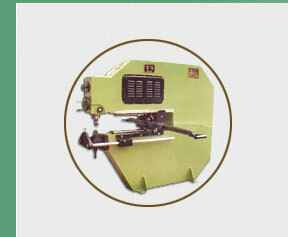 The machine has eliminated expensive trimming dies in many modern workshops. Fabrications, Control panel manufacturers, cabinet & vehicle body makers, fan & impeller industry in addition to many others find it a most valuable asset. 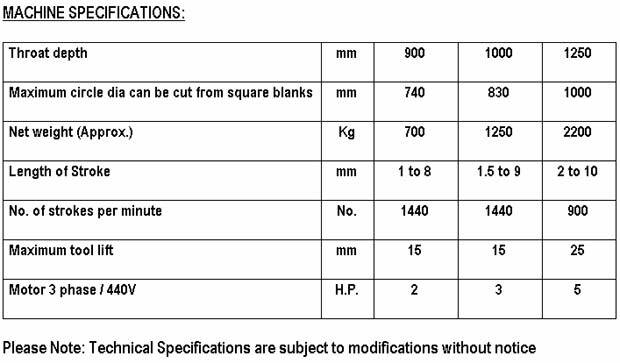 While the capacities indicated below are for mild steel, the machine is often used for many other materials as well. 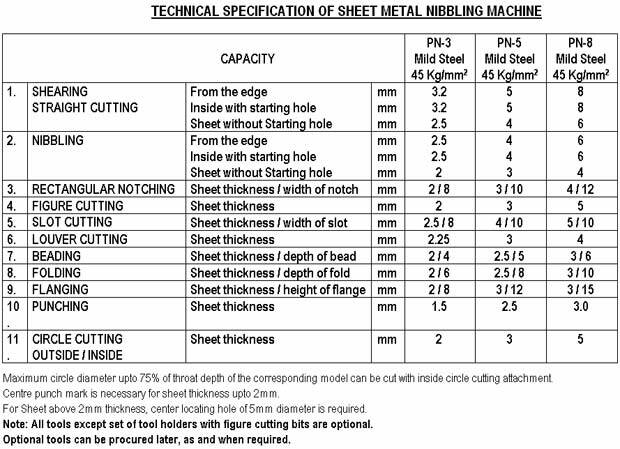 Sheet Metal Nibbling Machine is a rugged, sturdy and reliable multipurpose machine capable of sheet cutting & forming operations. 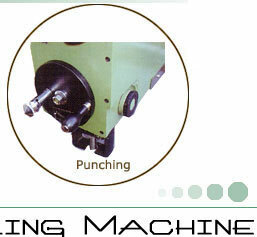 Its versatility is best expressed by terming it the Sheet Metal Workers lathe. The working principle on which nibbling operates is the sheet is cut or formed between the fast reciprocating motion of an upper tool (powered by an electric motor and driven by an ecentric crank) and a stationery lower tool, by progressive punching, as the sheet is fed. Complete electrical, a set of straight cutting tools with the holders, necessary keys, spanners for the operation of machine, feele r gauge & operation manual form the std. Accessories supplied with the m/c. Various attachment for straight sheet feeding, circle cutting, louver cutting, nibbling ball tops & antivibration pads etc. are available against specific requirements. 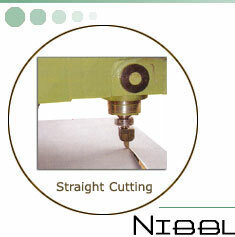 Straight, figure and circle cutting tools, Flanging tools, beading tools, louvring tools etc. Are available at extra cost.